Despite the expectation that the winds of Hurricane Florence are not going to treat Charleston too badly, some of the buildings and houses are buttoning up. 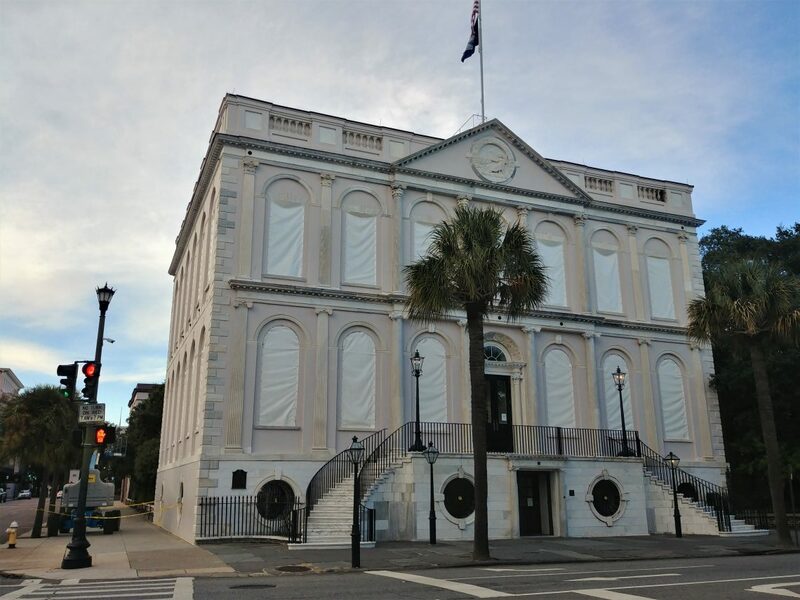 This is Charleston City Hall, which was built in the early 1800’s as one of the original branches of the First Bank of the United States. It later became Charleston’s City Hall in 1818. May it last another 200 years.